HomeAll Posts...Stay Active, Stay Fit! Start Today, Be Active Your Way! Physical activity can make you feel stronger and more alive. Do at least 10 minutes of physical activity of your choice at a time. Choose aerobic activities that work for you. These make your heart beat faster and can make your heart, lungs, and blood vessels stronger and more fit. Also, strengthening activities make your muscles do more work than usual. 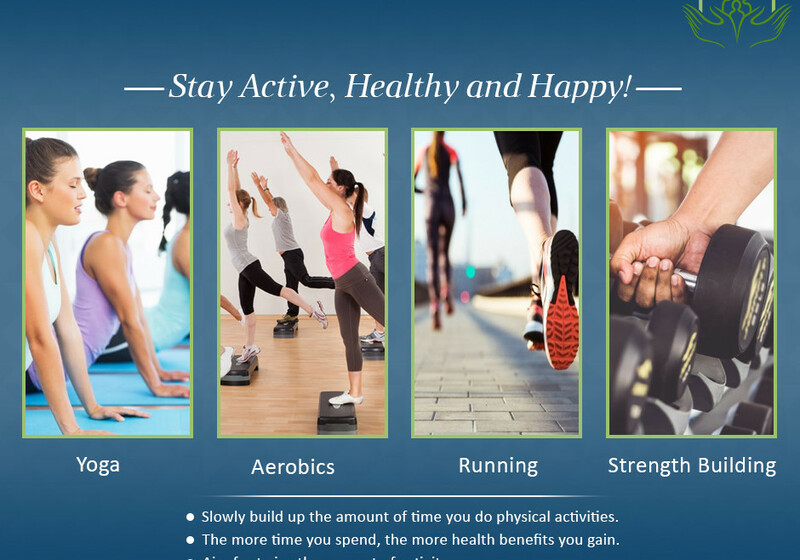 Stay Active, Healthy and Happy!